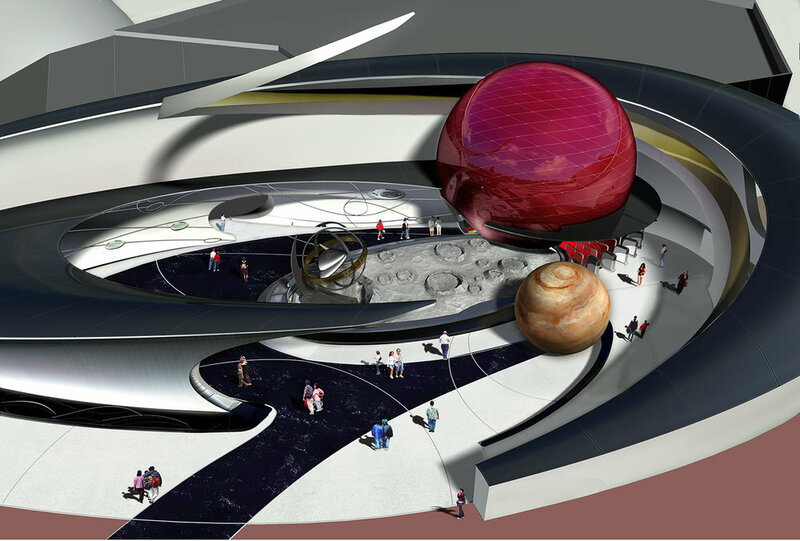 Using 3D animation software this project took its form from animations of planet orbits defining profile curves. 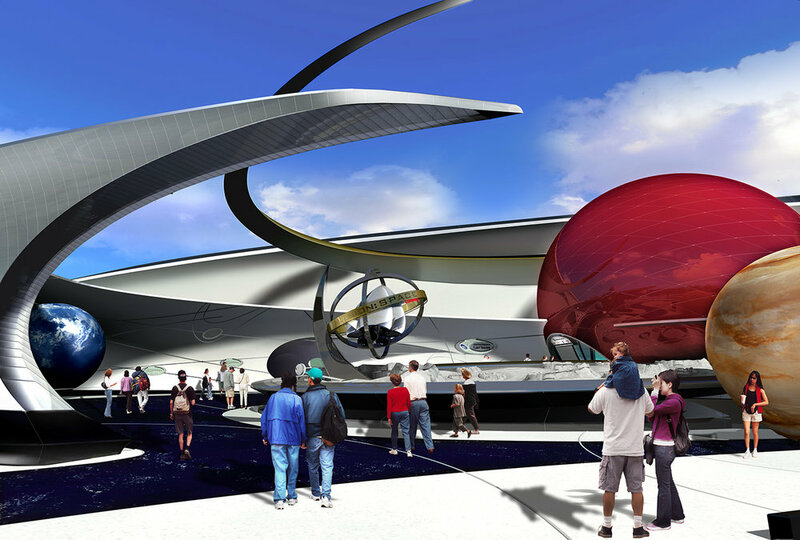 These curves and the surfaces they defined served as the basis for constructing the Mission Space Pavilion at Disney EPCOT Center. Patrick's portfolio while subcontracting as part of the creative project team at Disney Imagineering.